You have to love “love” in order to write and perform such melodic (without being over the top) love songs in the way that Bruno Mars does, there is something about his voice that truly makes you fall in love. I was first introduced to Bruno Mars’ music when I heard his collaboration with B.O.B on the song Nothin’ On You, the tone of his voice, him playing the piano and the contrast with Bobby Ray’s rhymes, well, it was a match made in R&B and hip-hop heaven. He went on to collaborate with Travie McCoy (lead singer of Gym Class Heroes) for the (very inspiring song) Billionaire out of McCoy’s solo project. 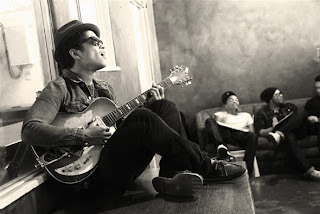 Bruno Mars wanted to do more and in May of this year he released an EP titled It’s Better If You Don’t Understand out of which came the single The Other Side featuring B.O.B and Cee-Lo himself. In addition to the LP Bruno Mars just recently released his full length album titled Doo-Wops & Hooligans. The CD has 10 songs and Bruno Mars scored a collaboration for the Reggae-ish song called Liquor Store Blues with Damian Marley. Since I know you’ll be opening your itunes as soon as you finish reading this blog because, admit it, you want to buy Bruno Mars’ album, but before you leave this page check out this intro video where Mr. Bruno Mars tells you what he is all about, enjoy!